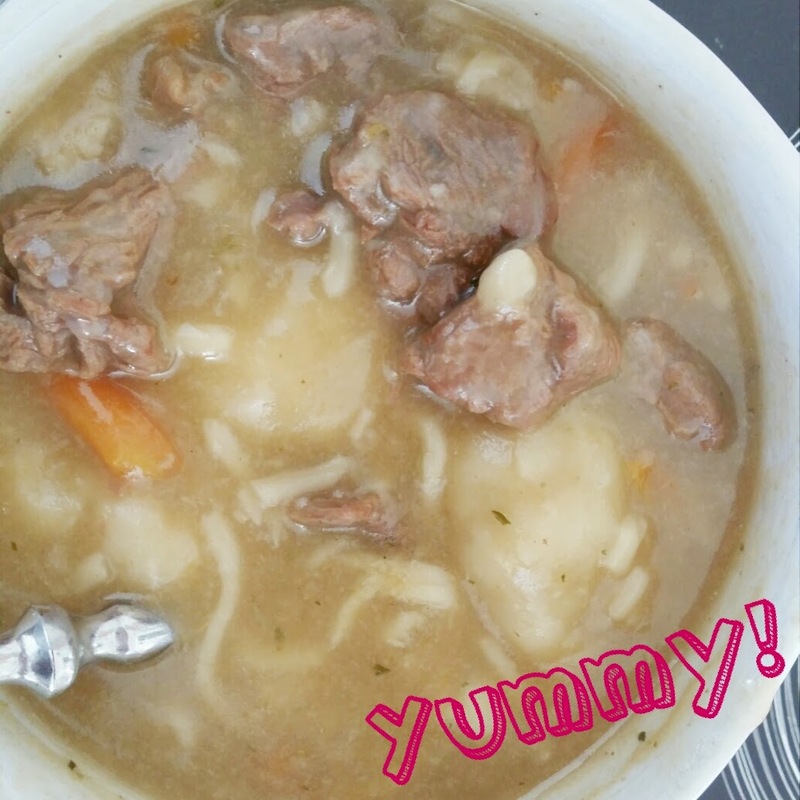 Single Super Mummy: Finally mastered the art of cooking soup woop woop! Finally mastered the art of cooking soup woop woop! sugar in while you’re making the dumplings they taste sooo good, I remember it was either my mum or my auntie who used to put sugar in her dumplings too. I also always have to have meat in it, I tend to use beef or lamb, I’m not really a fan of chicken soup. Also soup is great for this time of year as it really warms you up and is really simple to make (she says now) and quite cheap too and can last for days. But yeah, I’m soo happy I’ve finally conquered the soup. Now I need to learn how to make Curry goat because I don’t have a clue even where to start with that one. I LOVE soup too! We fish out the dumplings. I let my daughter roll them and peel the veg whilst I do all the hot bits on the hob. That bowl of soup looks delicious!